They do work that knocks me out sometimes. All the time. I feel that there’s time later to shape and direct. In the early years, it’s time for some wild creativity. I learn from them. 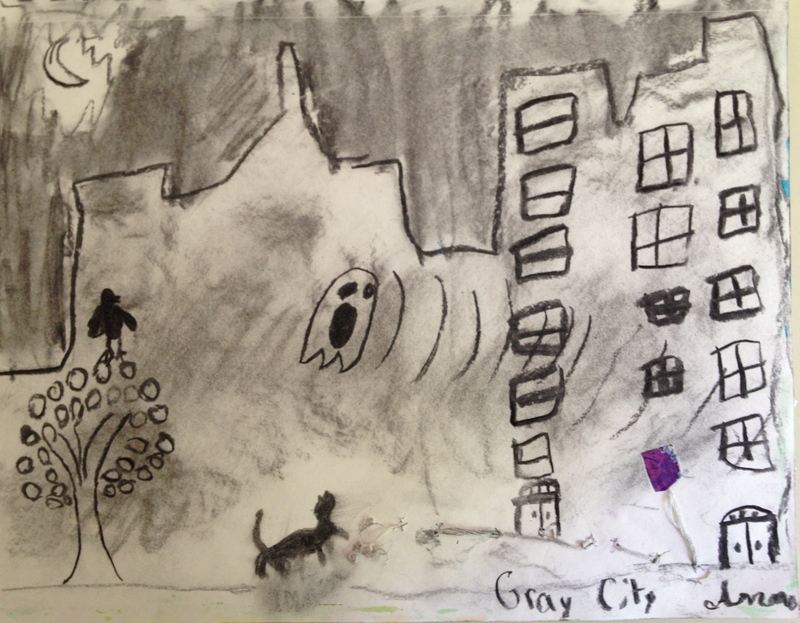 I’m not sure why my oldest is drawing pictures with ghosts and black cats in July, but there it is. This is plain old vine charcoal, pretty much toasted willow sticks. And fingers, a rag, gum erasors. You want subtlety? 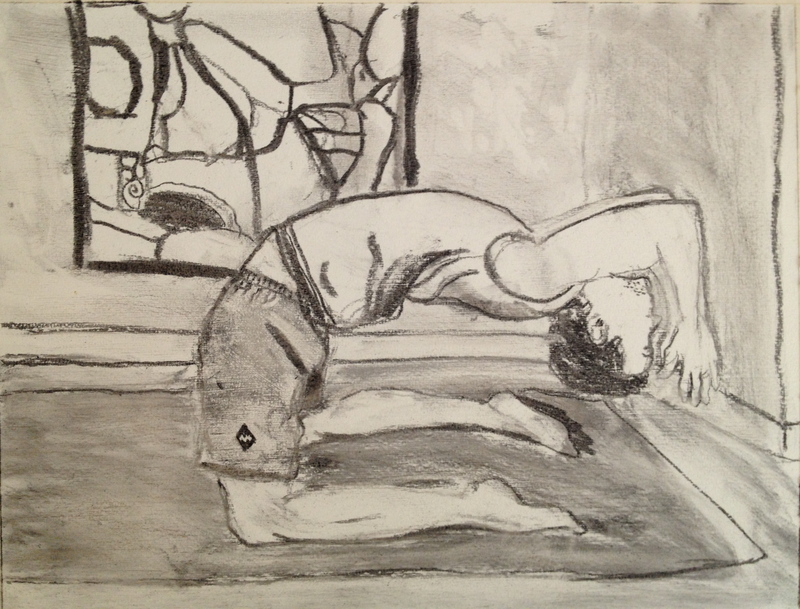 Charcoal is incredibly responsive and easy to work with. I was thinking to add some acrylic paint, but then the charcoal itself is so seductive, I think I’ll save the paint for another version. Pretty sure this one isn’t quite finished yet. 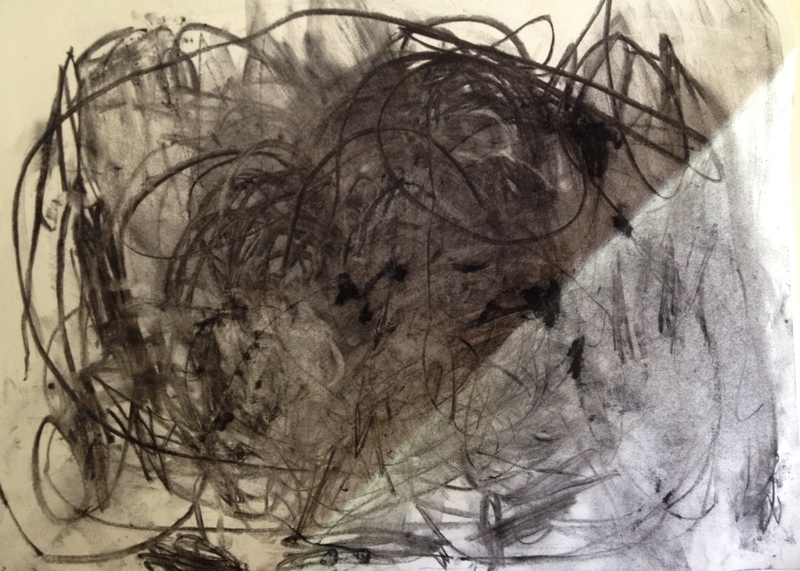 Finally my youngest strolled on by, and I handed him some charcoal. He is almost 5, so close to it I can’t call him just 4 anymore. 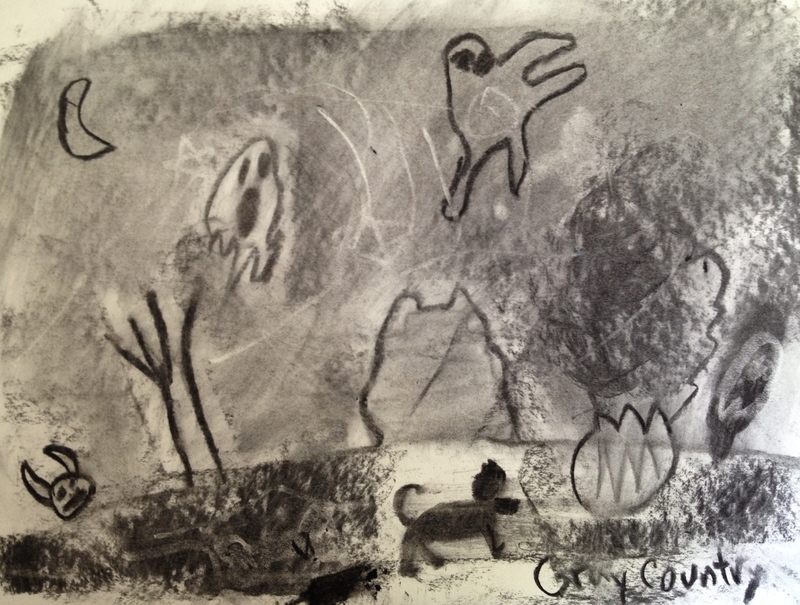 He thought charcoal was pretty cool, and kept wanting a bigger piece. I love this kind of exuberant play. Notice the crease in the paper? That happened when middle sister (7) finally woke up and decided to join us. In her haste to get to a blank piece of paper, she folded his over by accident. She wants you to know that hers is still in progress. I wonder what she’s going to do with this? 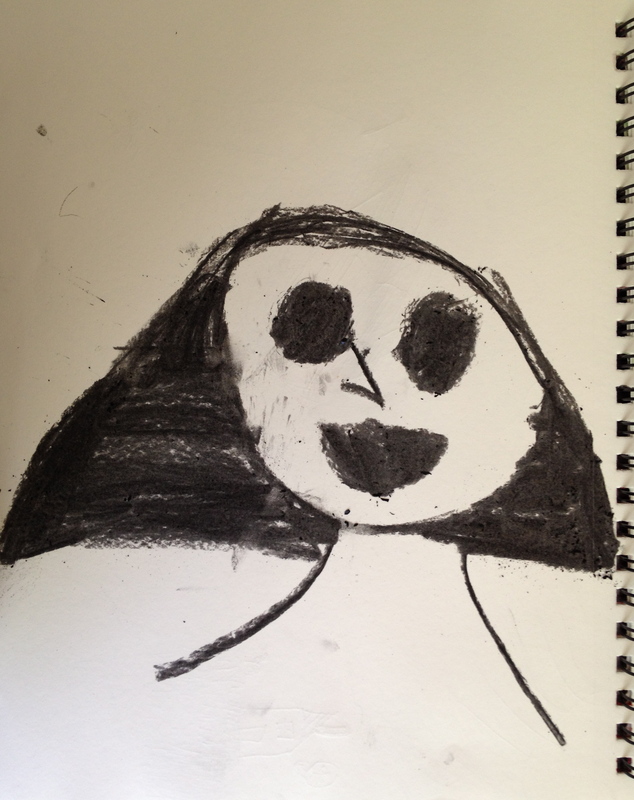 Little Miss S has a wild creativity that just bursts forth sometimes. I can’t tell you how many times I’ve been telling her not to do something so crazy with a crayon or paint or gelatin printmaking, it’s going to make too much of a mess or waste too much paint or whatever in control reason I have. She ignores me and makes pictures that are a complete knockout. I hope she never loses that.